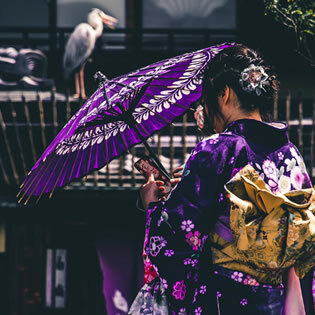 Aller Travel offers themed and active group tours around the world and our target group is seniors in the age of +55, whether you are interested in hiking, biking, exercise trips, music tours, river cruises or long-term stays just to name a few. Great opportunities to meet new people with common interests. Personal service is important to us and we will make sure that you are taken care of before, during and after your journey. Australian Travel and Fijireiser is Norway's largest specialist in travel to Australia, New Zealand and the Pacific Islands. With us you get personalized service, broad expertise, competitive prices and security, by booking the trip together in one place. Azamara Club Cruises is an "upper-premium" shipping company with three classic and elegant ships with a capacity of under 700 passengers. On board almost everything is included in the price, meals, drinks and tips making this the ultimate "all inclusive" experience in a totally unique setting. Azamara Club Cruises is mainly recommended for guests 45+, who enjoy small ships with a comfortable atmosphere, good food and drinks in addition to exciting harbor visits worldwide. We at BENNS are one of Norway's leading experts in travel to Australia, New Zealand, USA and Canada. We tailor adventure trips, safari trips, cruises and business trips. Our vision is to create unique travel experiences for all our customers so they can realise their travel dreams. Celebrity Cruises is well known for its modern and innovative ships with great facilities, spacious cabins, personalized service and award-winning cuisine. It is not surprising that Celebrity Cruises' guests and travel-related media, such as Condé Nast Traveler, consistently rank Celebrity Cruises among the world's top cruise lines in their category. A perfect choice for couples and friend trips. Meet Croatia at Explore the World in Oslo on February 9 and 10! Croatia stretches along the Adriatic. The country is attractive to tourists because of this coastline, but also due to the country's rich cultural heritage and the opportunity for exciting culinary experiences. Today, Croatia combines its history with a youthful spirit and energy. With beautiful scenery, endless coastlines, countless opportunities for active holidays, varied experiences for food, wine or well-being - Croatia has something to offer all year round. With the most pleasant water for swimming in Europe and approx. 325 days of sunshine, Cyprus is a safe holiday favorite among many Norwegians. However, Cyprus is much more than sun & sea, and here you can find a rich history and culture, with archeological sites dating back 11.000 years. Visit some of the charming villages and enjoy the local cuisine and the famous hospitality. For the active visitor, lots of activities can be found all year round. Discover America Norway is a non-profit organization working voluntarily to promote tourism from Norway to the US. All activities and marketing are entirely funded by member fees. Established in October 1998, celebrating 20 years of success! Brochure distribution and general info on the United States available! America is a great destination, - and yours to discover! American Adventures is Norway's newest operator with the USA as its special field. We can help you with tailor made offers. 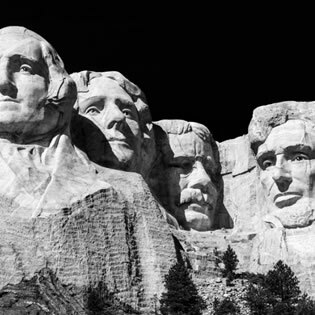 We have more than 35 years of experience traveling to the United States, having visited all 50 states on more than 150 visits, and with great expertise can help you plan your vacation in detail; Our experience and local knowledge can help you put together the right itinerary - visit us for a US chat! Scandinavia's largest organizer of diving trips for those who want to see life under the sea and experience the Blue Planet up close. DYKKE bazaar arranges trips for groups and diving clubs from Scandinavia as well as for individual travelers. Today DYKKEbazaar has diving trips to over 80 countries around the world and will illustrate this amazing world to you in its lectures during Explore World. Exodus is one of the world's leading tour operators of active trips in hiking, cycling, culture and adventure since its inception in 1974. The company is represented in Scandinavia by REISEbazaar and will hold compelling lectures on its world on Saturday & Sunday. You know it the moment you hit the ground. Fargo is different. You can feel it on the prairie wind. It’s not familiar ground, but it is ground you want to spend some time on. If normal is a mainstream mindset, Fargo more than transcends it. Naturally cool in every sense of the word, Fargo is filled with wonderful eccentricities that encourage untraditional thinking and behavior. If you’re looking for ordinary, though, keep going. In fact, head in the other direction. But, if you’re looking for extraordinary, we welcome you to come visit. Come on up where it’s cooler. Because Fargo’s north. North of Normal. Florida has more than 2,000 kilometres of coastline — more than any other state in the continental United States. Florida’s beaches are regularly featured on Top 10 lists of the world’s best beaches. From quiet dune-lined stretches of sand to sun-and-fun gathering spots, Florida beaches offer something for everyone. The Sunshine State’s temperate climate means sun-bathing, picnics, shelling, fishing, water sports, boating and sailing take place year-round. Your dream vacation is waiting! The unique heritage of Hurtigruten, combined with a skilled crew and small expedition ships, allow us to offer exciting natured based experiences in some of the most remote areas of the world. With 15 ships, Hurtigruten is the largest and most flexible provider in the world of active journeys in polar areas. Travel with Hurtigruten and experience Norway, Svalbard, Greenland, Iceland, Antartica, USA and Canada, South America or the Northwest passage. Welcome to Tel Aviv and Israel. Named by The New York Times "The Mediterranean Capital of Cool", Tel Aviv is a modern, vibrant cosmopolitan. 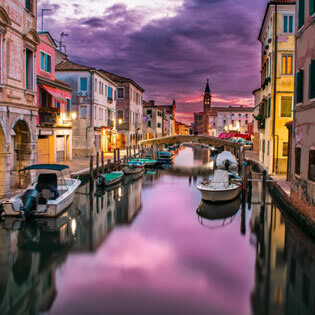 Buzzing art scene, UNESCO recognized Bauhaus architecture, award-winning cuisine, world-class nightlife, friendly laid-back atmosphere and gorgeous beaches all earned the city its rightful place as one of the world's top travel destinations. And not far from here; Jerusalem, Masada and the Dead Sea. Islandsspesialisten offer trips to Iceland, Faroe Islands and Greenland. We tailormake trips for groups (companies, school classes, friends, associations for the retired) and individuals. Our aim is to create memorable trips and programs, based on the needs, priorities and budget of our clients. In addition, we also offer pre-scheduled trips with Norwegian speaking guides to Iceland and Faroe Islands. KinaReiser are specialists in travel to China with unique knowledge that will help make your trip to China a very special one - the journey of your life! We offer group trips and have even more options for those who wish to tailor their own trip. It is 50 years this year, since we sent the first Norwegians to the Middle Kingdom. In addition China Travel also has Norway's largest selection of trips with the Trans-Siberian Railway. Loganair is the longest established airline in the UK – founded in 1962, now also operating to Norway, Germany, England Isle of Man and the Channel Islands. It operates with a mixed fleet of 30 aircraft ensuring strong operational integrity, and connects with global airlines to better connect communities. Norwegian routes are Stavanger to Edinburgh; and Bergen to Edinburgh, Inverness, Manchester, Orkney and Shetland. LOT Polish Airlines – den beste måten for å utforske Polen og resten a verden. Flyr direkte mellom Oslo og Warszawa, med gode forbindelser til hele Polen og verden for øvrig. Receive the pleasure of travel right in the mailbox! The magazine Reiselyst is Norway's largest travel magazine and the only one with a full Norwegian editorial staff. Here you can dream yourself away to near and far destinations, city breaks and cozy weekend breaks. At the fair you will of course get an extra good subscription offer. 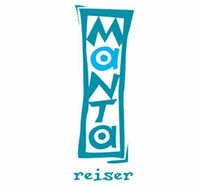 Manta Reiser, or the Maldives specialist, has been sending Norwegians to their dream destinations for more than 20 years. We choose luxury hotels that also consider the environment and the best working conditions for their employees. We assure the quality of all we sell and feel personally responsible that your holiday is memorable for the right reasons. Besides the Maldives, we tailor-make wonderful experiences to Mauritius, Seychelles, Sri Lanka, Dubai, Oman, Qatar, South Africa, Namibia, Kenya, Zanzibar, and more. MSC Cruises is the largest privately owned cruise company and the fourth largest in the world with 1.2 million passengers per year. Today the fleet consist of 15 vessels, but the company continues to expand with 2 new vessels being launched in 2019. We offer everything form fantastic journeys in the Mediterranean to the exotic environment of the Caribbean islands. Onboard you will find a variety of entertainment and activities. The cruise line is suitable for passengers in all age groups. Norwegian Cruise Line is an award-winning shipping company with cruises worldwide. Here you have the freedom to choose for yourself what to focus on . There are no fixed dining times or formal evenings. With Premium All Inclusive, premium drinks, tips and a lot more are included. This is something that creates a unique sense of freedom on board. The shipping company is suitable for all age groups. Amerikaspesialisten specialises in travel to the US, Canada, the Caribbean, Central America and South America. We have extensive experience in arranging group and individual trips to these destinations. Through Cruisereiser, we also offer a large selection of cruises worldwide. Hikes, river cruises, round trips, yoga tours, long-term holidays and our senior favorites. See our great holiday program! Group tour operator since 1978 with solid experience and expertise. We are also expert at tailoring for associations, companies, choirs, schools and other groups. Poland – the best place to enjoy culture, active holidays or business meetings. Visit us and get all the inspiration tips, collect the travel information and win the weekend trip to the Polish coastline! Gdańsk – Sopot – Gdynia – three cities, one destination. The closest metropolis for a city break and relaxation. A vibrant destination guaranteeing lots of unforgettable impressions and experiences as well as a number of surprises . Simply fly to Gdańsk and start the adventure. City-break offer, cultural and natural heritage, golf, spa & wellness, shopping & lifestyle, amber heritage, food & relaxation. Qatar Airways is one of the youngest and fastest growing global airlines. We have connections to more than 160 destinations over most of the world every day, with a fleet of the lastest generation aircraft and with an unrivaled level of service. Royal Caribbean is one of the world's largest shipping companies and a trendsetter in the industry with its innovative and technological solutions. The entertainment and activity on offer is world-class - with much to be enjoyed on board, regardless of age. Royal has a large focus on facilities for families with children but is also suitable for couples, as well as for those who wish to try a cruise for the first time. A shipping company with quality at all levels. 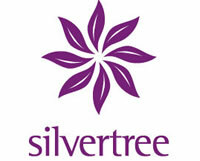 Silvertree is all about quality. It is the vision of our team, to create and promote a travel product that will speak for itself. We bring 25 years of experience in the travel and hospitability business in Sri Lanka into this venture. Our strength lies in our global experience which we have solidly built throughout the years. We believe in building trust along our path to success. We constantly research new possibilities and bravely take our clients to new heights. Our approach is very simple; quality and experience. Singapore Airlines is the world´s most award winning airline and was in 2018 voted best airline in the world both by Skytrax and Tripadvisor. Every week we offer a total of 80 connections from Norway to Singapore via Copenhagen, Stockholm, London, Frankfurt, Munich, Dusseldorf, Paris, Amsterdam or Zurich. Popular destinations from Norway include Singapore, Bali, Phuket, Koh Samui, Manila, Ho Chi Minh City, Hanoi, Sydney, Brisbane and Auckland. Specialists in train travel in the old Russian republics including the Trans Siberan railway and the Silk Road, as well as culture and theme trips to Central Asia with small groups. Sundowners will, during Explore the World, hold interesting lectures on Central Asia, which for most people is an unknown world. Norway's best themed travel in art, history, culture and music. Join famous Norwegian writers, journalists and cultural mediators to their favorite destinations. All our travel guides have a story they want to share with you. Combine this with quality, fantastic experiences and social cohesion, and you get Temareiser Fredrikstad. Over 20 years of experience gives you peace of mind. Just ask our guests - they travel with us over and over again. We create experiences, knowledge and memories for life! Thai Airways International is Thailand's national airline that flies directly from Oslo to Bangkok, and then to more than 70 destinations in Asia and Australia / New Zealand. Thai currently has a total of 21 weekly departures from Scandinavia to Bangkok, and uses new and modern Boeing 777-300 machines. Thai - Smooth as Silk. Tourism Authority of Thailand (TAT) is a government organization with 35 regional offices in Thailand and 26 offices around the world. TAT works primarily on the marketing of Thailand with the aim to enhance and encourage travel to Thailand. TAT Stockholm Office, is responsible for 8 countries, Sweden, Denmark, Norway, Finland, Iceland, Estonia, Latvia and Lithuania. TAT also works with giving tourists information and distributing travel information about Thailand to travel agencies, individuals and the public. Turkish Airlines flies to over 300 destinations making it the the airline that flies to the most countries in the world. Food, drinks, luggage and seat choices are always included in the ticket. USA Spesialisten is one of the biggest providers of trips to US in Norway. In existence for more than 30 years the company specializes in trips to USA, Canada, Mexico, Caribbean, South America, as well as cruises in the Caribbean and the Mediterranean. We love to travel, so feel free to ask about destinations all over the world – most likely we have been there! Our strengths are our skills and experience, as well as our prime service, working with excellent partners. Ask us about cruises all over the world; this is something we know! We are specialists in tailormaking trips based on your wishes and dreams. Vista Travel has Norway's most experience of river cruises and offers travel on a large variety of rivers on several continents. In addition, Vista Travel offers travel on exclusive private trains, such as the Orient Express, Rovos Rail, El Transcantábríco Grand Lujo and others. It also offers a large selection of theme-based round trips to various destinations. On most journeys, skilled Norwegian travel guides follow.